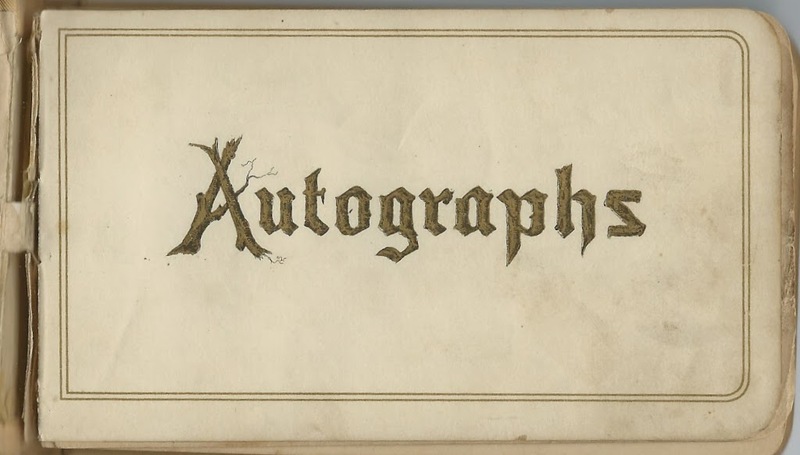 1893-1908 autograph album of Beryl F. Van Buren of Greene, New York. She wrote her name on the inside front cover and on a page inside. 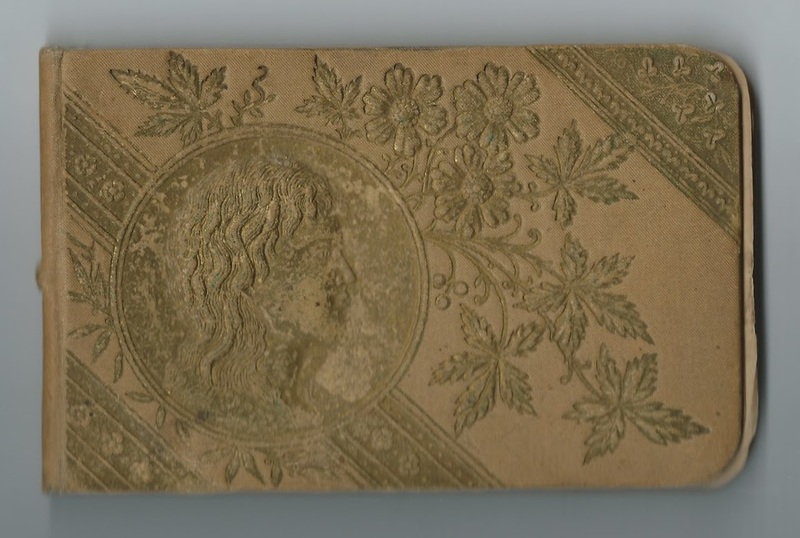 The album measures approximately 5-1/2" x 3-1/4" and contains the sentiments of 23 of Beryl's relatives, friends, schoolmates and teacher. An alphabetical surname list and an alphabetical list of the signers, together with any personal information they offered, appear at the end of this post. Beryl F. Van Buren was born on January 15, 1889 in New York, the daughter of Charles E. and Amy (Baxter) Van Buren. 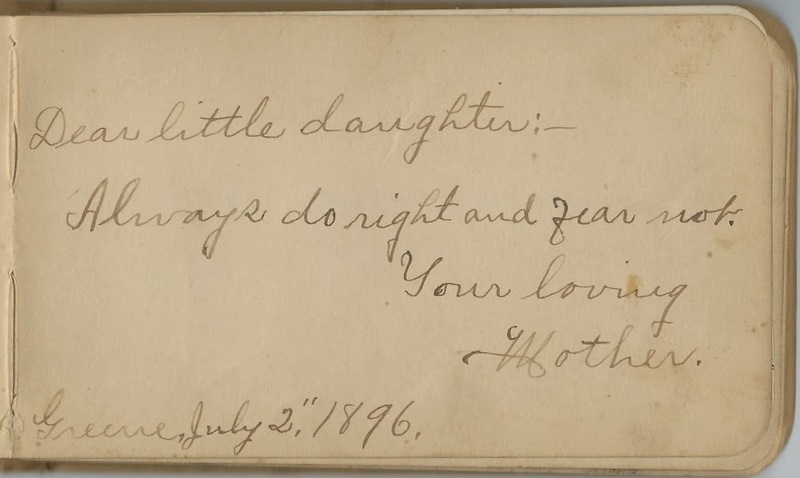 Amy inscribed a page in her daughter's album at Greene, New York, on July 2, 1896. 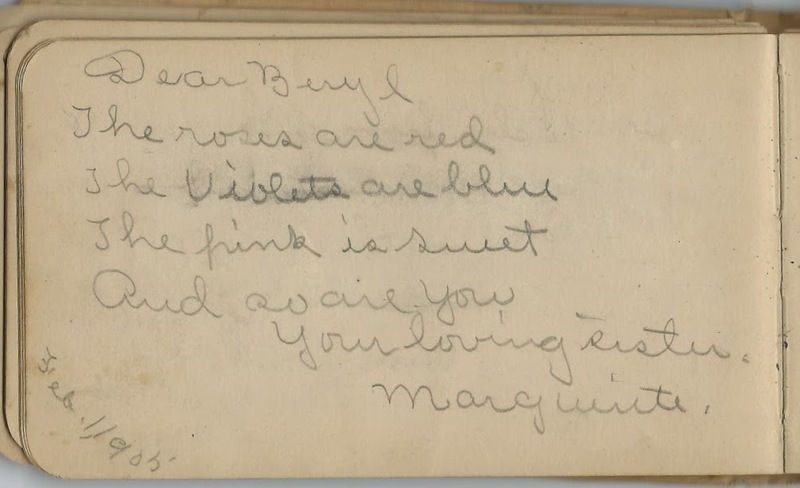 Beryl's sister Marguerite Van Buren inscribed a page on February 1, 1905. She would marry Paul L. Kniskern, son of Peter and Emily J. (Conrow) Kniskern, on May 26, 1917. On 11 May 1912 in Chenango County, New York, Beryl F. Van Buren married Eugene Willey, son of Sereno E. Willey and Hattie A. (Stanton) Willey. They settled at Greene, New York, and raised, I think, five children. Beryl died in 1963. Beryl's teacher, Kathryn Rooney, inscribed a page on February 26, 1906. The last page in the album was inscribed by Linn Langdon Corbly of Lewistown, Montana, on February 2, 190?, possibly 1908. She would marry William John Duke in 1911. Read more about the Corbly family here. 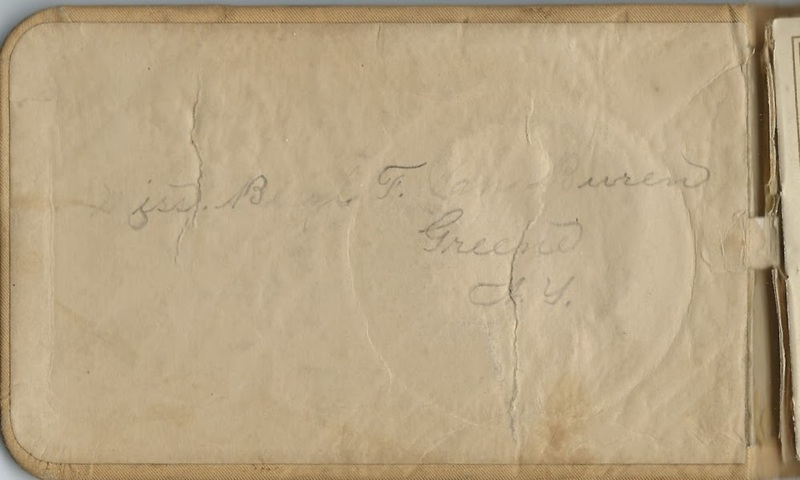 Kathryn Rooney, signed on February 26, 1906; Beryl's "loving Teacher"
"Your loving Mother", signed at Greene, New York, on July 2, 1896. She was Amy (Baxter) Van Buren, Beryl's mother. Grace A. Watrous. "Don't forget the night we tied our toes together; also the night I talked too much"